The glorious fifteenth-century Rosslyn Chapel is one of Scotland's most extraordinary architectural masterpieces. Founded by Sir William St Clair, third Prince of Orkney, and inspired by the great Gothic cathedrals he had seen in France, the chapel has remained in the ownership of the St Clair family for over 550 years. Built entirely in stone, its many carvings include Christian imagery, representations of the pagan Green Man and the earliest recorded stone carving of the medieval Dance of Death, the 'Danse Macabre'. Rosslyn Chapel also looks into the myths and legends associated with the building and the family, who have been connected at various points in history to mysterious groups, such as the Knights Templar and the Freemasons. The authors explore the fascinating and intertwined histories of the St Clair family and their chapel. They focus on more than the building's ancient past, noting the impact of Hollywood and the chapel's newfound publicity after it was shot as a location in The da Vinci Code, as well as the recent major conservation project it has undergone. 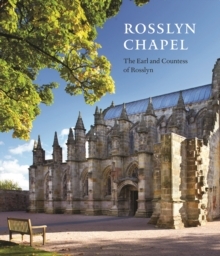 Beautifully illustrated with new and specially-commissioned photography, Rosslyn Chapel will be the ultimate souvenir of a visit, and essential reading for those who wish to explore this intriguing Chapel further.